The State Theatre is an intimate music venue (with a full restaurant and bar) located in the heart of Falls Church. The Theatre’s unique design dates back to its days as a cinema before it was renovated to be a performance hall in 1999. Visitors can reserve the Sky Suite (which used to be the projection room) for a large group, or reserve a dining table on the main floor with full service throughout the show. There are also tables and chairs available in the back of the theatre on a first-come, first-serve basis. Tickets are all general admission (unless otherwise specified). 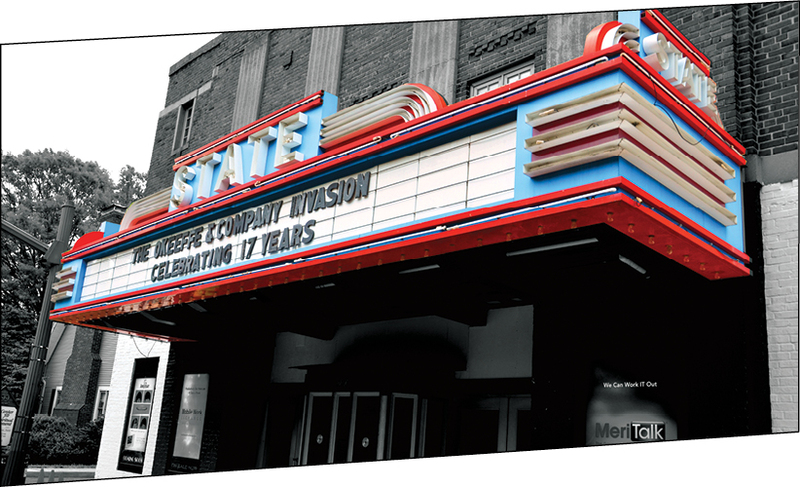 The State Theatre is proud to host a wide variety of music genres and artists all year long, including local cover bands. 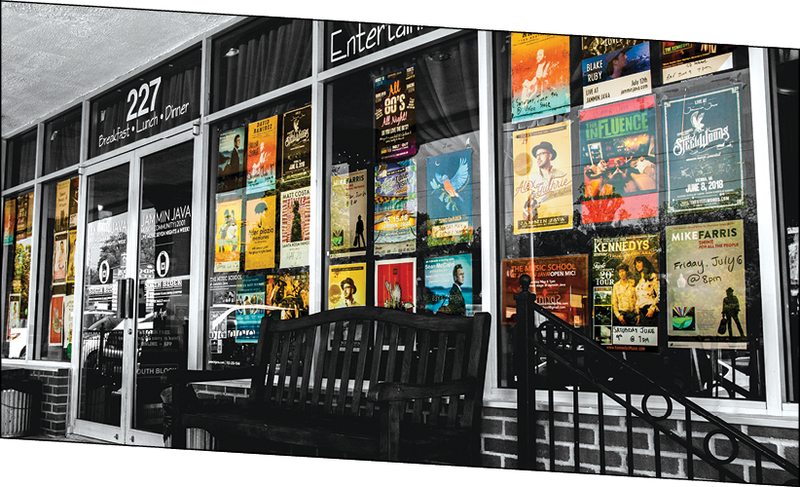 The Alden Theatre is a 383-seat performing arts venue offering local residents high-quality musical performances as well as lectures and educational programs for all ages. The Alden is tucked away in the suburbs of McLean within the McLean Community Center. Its cozy atmosphere makes every show feel like a private viewing. You can also see comedy, magic, and dance performances at the Alden; just check the performance calendar on the website for a list of all upcoming shows. Kids in high school who are interested in improv should check out the Unruly Theatre Project (UTP) for free workshops and opportunities to perform. Wolf Trap is a hidden treasure of 117 acres and four venues including the Filene Center, the Barns, the Children’s Theatre-in-the-Woods, and the Center for Education. The venues operate from May to September and host between 95-100 shows every year. 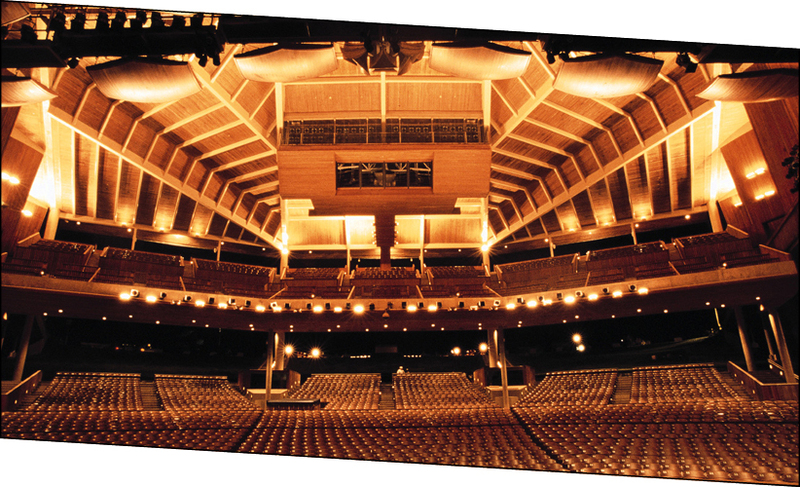 Locals love seeing their favorite artists perform at Wolf Trap because of the amazing acoustics and ambience. Patrons can also bring their own drinks and food (alcohol included!) if they’re enjoying a show from the lawn. There are also several different locations within the park that can be rented out for special occasions. Wolf Trap is one of the most unique music venues in the country— it’s the first and only U.S. National Park to be dedicated to the performing arts! The Center for the Arts is located on George Mason University campus in Fairfax, and offers a variety of musical performances in its 2,000-seat concert hall. Its annual season of international and national artists feature jazz, opera, dance, classical music, and more for students and the public. The Fairfax Symphony Orchestra calls the Center for the Arts home, and there are many student and faculty performances presented by the university’s College of Visual and Performing Arts. There are many family-friendly performances for children to enjoy. Visit the website to see upcoming performances, view a seating chart, and buy tickets. 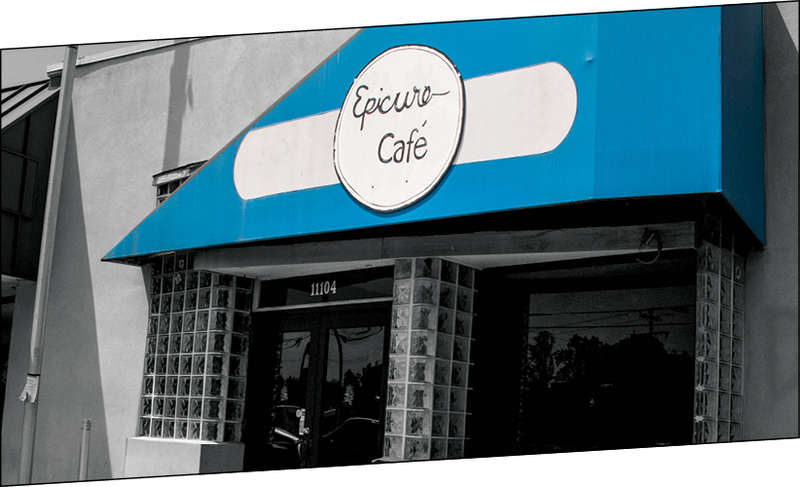 Epicure Cafe is a family-owned restaurant, lounge, and performance arts space in Fairfax. It aims to bring cross-cultural, international, and intergenerational artists to its local patrons to create an inclusive environment for all artists and art admirers. Epicure showcases young, emerging local musicians as well as poets and storytellers. There are open mic nights, jazz nights, and regular musical performances varying from jazz to punk rock with a little of everything else in-between. Check out the Rooftop Garden for private bookings and special events by visiting Epicure’s website, where you will also find a list of upcoming events and performances. Galaxy Hut is a kitchen and bar hosting live music every Sunday and Monday night at 9pm. The full dinner menu is available until midnight, and the venue only admits adults 21 years of age and older. The Galaxy Hut focuses on local and national indie-rock bands, which the owners – Lary and Erica Hoffman – believe hold a crucial place in D.C.’s musical history. There is a $5 cover fee to support the bands, and upcoming shows and performers can be found on the website. Galaxy Hut is located in the booming Clarendon district of Arlington, and will celebrate its 30th anniversary in 2020. Whitlow’s on Wilson is a neighborhood bar and grill featuring live music Thursday through Saturday. The place is a Clarendon landmark dating back to 1946, featuring several original and historic pieces like the bar top, stove, and chairs. The rooftop tiki bar is far more modern and open year-round, weather permitting. Local alternative-rock bands and DJs perform regularly at Whitlow’s. For a full list of upcoming bands, view their monthly band list on the website. All live music performances are free and seating is on a first-come, first-serve basis. 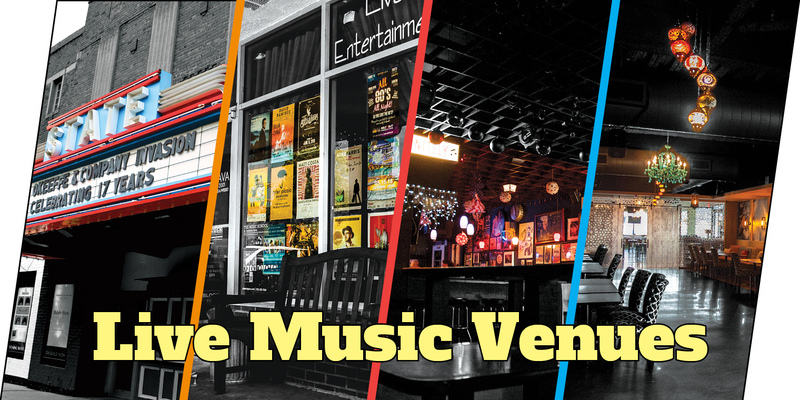 Jammin’ Java is a 200-seat, family-owned music venue with a focus on local and independent musicians. Shows average more than once a day with a heavy focus on family-friendly music, but there are two full bars and a full menu. Since its revamp in 2001, there have been over 7,000 concerts held here, including performances by critically acclaimed artists Bon Iver, Paramore, Nick Jonas, and many others. Children can also take music lessons at Jammin’ Java, and the venue has the most active children’s music concert series in the D.C. metropolitan area. According to Pollster, Jammin’ Java is one of the Top 100 clubs in the country with the highest ticket sales for a venue of its size. The Old Brogue is an authentic Irish pub featuring live music on Fridays and Saturdays. It first opened on St. Patrick’s Day in 1981 by the Kearney family, who value family traditions and an old-fashioned good time. Enjoy a robust beer list and a full menu seven days a week. Other weekly events include Open Mic Night and Trivia, and there are annual events like the Fall and Celtic Concert Series for traditional Irish music lovers. Local rock bands, acoustic artists, and folk bands make up the majority of this venue’s performers. 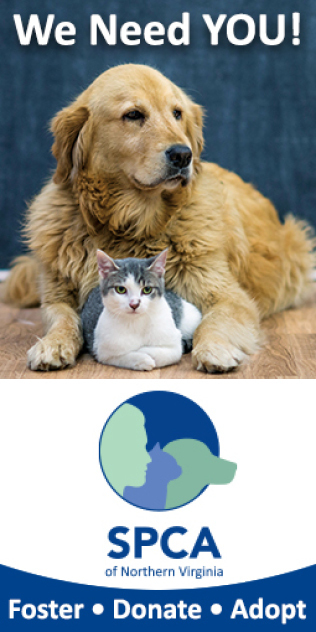 Visit the Old Brogue’s website to see a list of upcoming events and musicians. Located in the historic Lake Anne Plaza in Reston, Lake Anne Coffee Shop and Wine Bar is a local family-owned cafe, wine bar, and restaurant. There’s even live music and entertainment at Lake Anne’s! Every other Tuesday is Vinyl Night complete with beer specials, and every Thursday is Jazz Night. Every Friday evening, there’s live music with a local band or artist. On Saturday nights, the music varies from jazz to guitar to piano. On certain Sundays, enjoy live music with brunch! There’s always something going on at Lake Anne Coffee Shop. 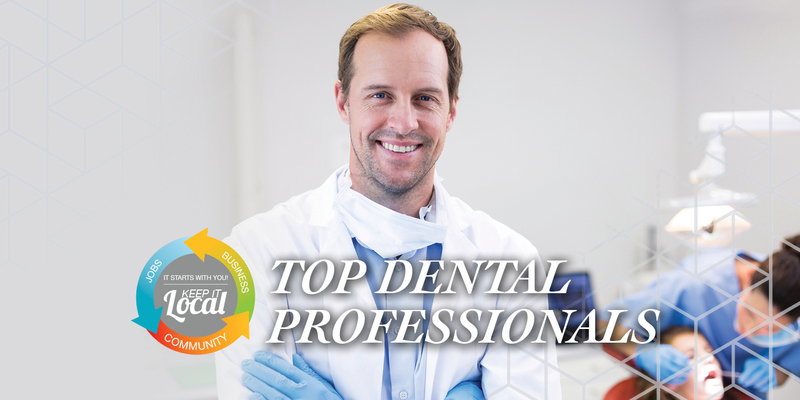 Visit the website to learn more! JV’s Restaurant—open 365 days a year—has been providing live music for over five decades. The famous U-shaped bar allows guests to have a great view of the show no matter where they’re sitting while they enjoy beer and comfort food. JV’s motto is “ageless charm without the yuppie bastardization,” meaning it’s an authentic low-key atmosphere to take in local artists. The venue has a rock-n-roll, Motown, and blues music focus. Every Friday from 6-8pm is Happy Hour with live acoustic performances. Check the JV’s monthly calendar on the website to find a list of upcoming shows. Kalypso’s Sports Tavern is a restaurant and cocktail lounge offering lakefront dining, live music, and plenty of local sports action! Every Friday and Saturday night, there’s live music from 9:30pm to 1:30am at Kalypso’s. The music varies from punk rock to reggae to country and more! There’s even karaoke and live DJs. Show up for Thirsty Thursdays and get free salsa dancing lessons with Jose from 8-10pm! Come for the authentic Greek, Italian, and American food, and stay for the music and fun! Learn more by visiting Kalypso’s Sports Tavern’s website. Located in the Village Center at Dulles in Herndon, Ned Devine’s Irish Sports Bar & Restaurant is a family-owned-and-operated pub offering authentic Irish, American, and even Australian food and cocktails. Enjoy live music and entertainment on the outdoor patio. 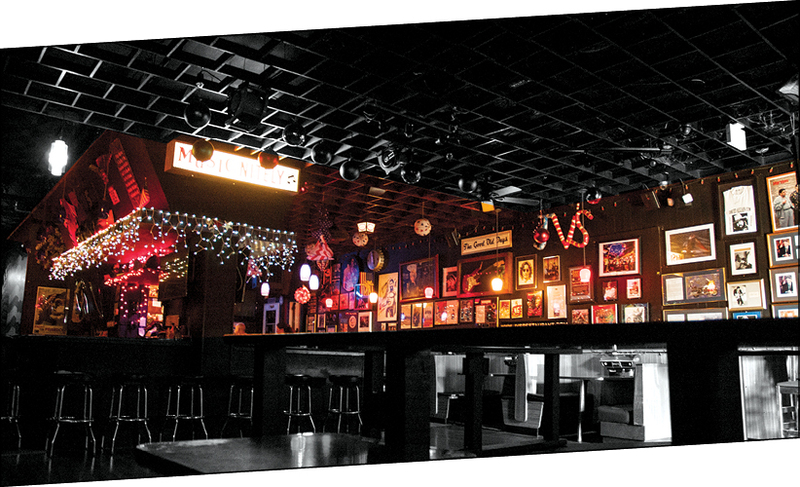 Ned Devine’s prides itself on attracting top-notch bands and musicians from all over the area. There’s live music every Friday, and country music and dancing on Thursdays starting at 8pm. Also enjoy every major sporting event at Ned’s in the bar with big HD screens! For a full list of upcoming shows and events, check the calendar on Ned Devine’s website. 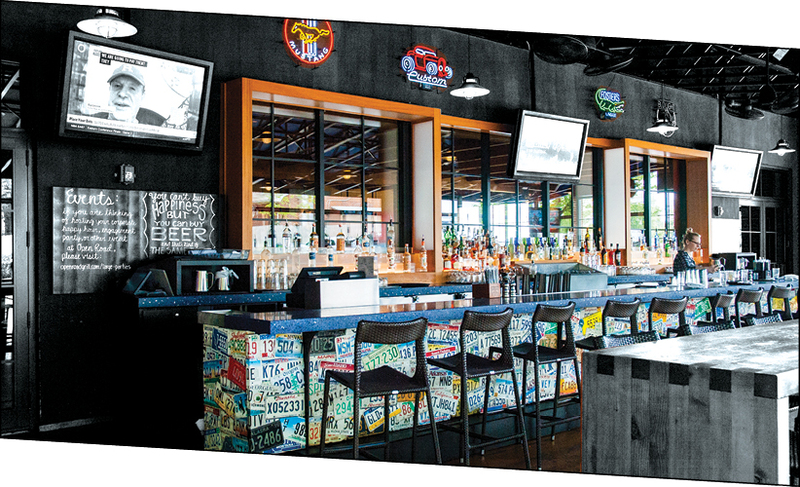 Open Road is an American bar and grill featuring live music Monday through Saturday in the Merrifield area. Local music and craft beer are two important staples at Open Road. With a casual atmosphere, delicious comfort food, a variety of beers and ciders, Open Road has become a popular nightspot for locals in the mood for live music. Get there early to snag a good seat before the place fills up for happy hour. Visit Open Road’s website to view a list of upcoming bands and performers which is updated on a weekly basis. Crafthouse is an upscale neighborhood restaurant and pub located in Reston Town Center. Crafthouse prides itself on its extensive beer, spirit, and wine list with an emphasis on local brews. There’s also weekly entertainment like trivia on Tuesdays, karaoke on Wednesdays, and live music Friday and Saturday nights! You never know what kind of music you’re going to get at Crafthouse (unless you check the website!) because sometimes it’s a calm pianist, or maybe a lively DJ, and sometimes it’s a local rock band! Just like the variety in beer selection, you get a variety of live entertainment at Crafthouse too. When you’re looking for nightlife fun in Herndon, look no farther than Breakers! Located in the Village Center at Dulles, Breakers Sky Lounge is a two-level lounge with a spacious dance floor, pool tables, a VIP room, sweeping views of the area, and of course, high-level entertainment and live music! Every Friday is Friday Live Happy Hour, featuring drink specials and local bands. Breakers features R&B, rock, and electronic music. If you’re in need of a bite to eat to recharge your dancing shoes, Breakers has you covered with familiar American favorites. For a full list of upcoming events and bands, please visit Breakers online! 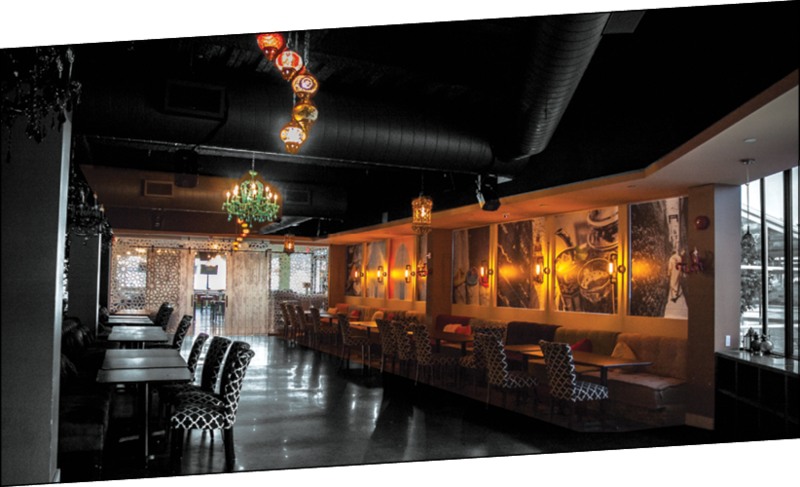 Greenhouse Bistro and Tea Lounge is a contemporary American and Italian restaurant and bar in Tysons Corner. There are three special spaces, each designed for tea and coffee, craft beer and cocktails, and an urban garden cuisine. Every ingredient Greenhouse uses is handpicked from a favorite farm or vendor. Greenhouse also provides live entertainment on certain days of the week! Check out the O Lounge on Thursday nights for DJs and private parties. Every Saturday night is Flamenco music and dancers at 8pm followed by an international DJ. Learn more about the food, drinks, and live entertainment provided by Greenhouse Bistro by visiting the website. Eddie V’s Prime Seafood is an elegant, fine-dining restaurant and cocktail lounge located in Tysons Corner. Not only does Eddie V’s serve fresh, delicious seafood and steak dishes, there’s also live entertainment to accompany your dancing tastebuds! There’s live jazz every night in the V Lounge at Eddie V’s, thanks to both local and nationally acclaimed musicians. Pair a night of civilized seduction with a hand-crafted cocktail fit for a king at Eddie V’s. For a full list of upcoming events and performers, please check the calendar on Eddie V’s website! Tyson’s Biergarten is an enormous beer hall and patio following the heritage of 400 years of Bavarian beer gardens. This unique beer hall deals in tokens, not cash! Customers must buy tokens to order beer and sausages (and more) to thoroughly enjoy the community-oriented atmosphere at Tyson’s Biergarten. There’s even live music every day of the week as well as regular, seasonal-themed festivals. Come for karoake, games, open mic, and live music any day, any time. 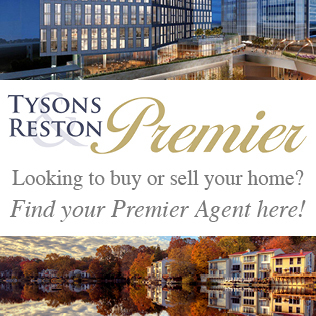 For more information on upcoming performances and festivals, please visit Tyson’s Biergarten online and take a look at the Events page!